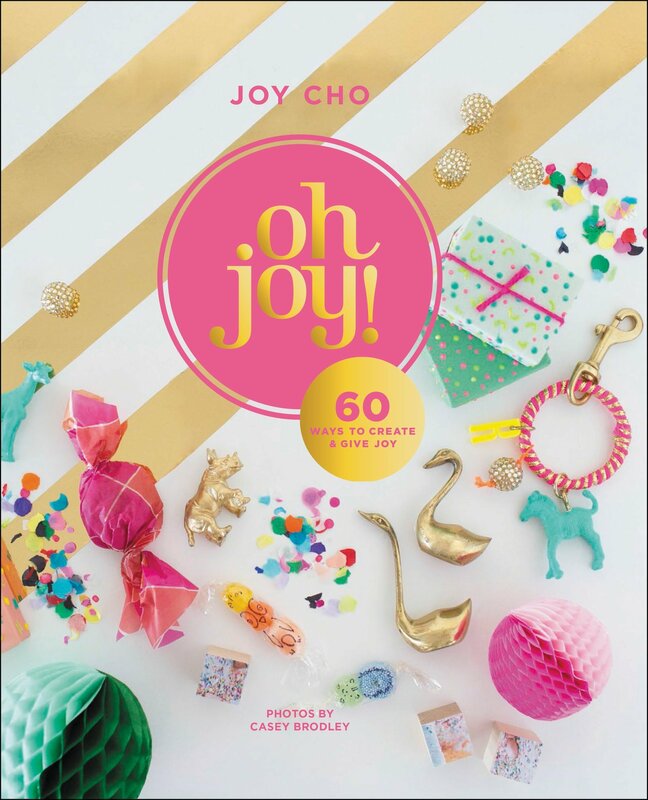 This bright happy book is a vehicle intended to bring more joy into the lives of those who utilize the suggestions Joy Cho gives to share happiness. It is Joy embodied, beautiful, happy, vibrant, it gives unique suggestions, ranging from small scale gestures of affection and ways to look at the world differently to more grand gifts and crafts to personalize your space and life. I wouldn't say all of the projects are up my alley, I'm drawn to her simple crafts that are useful as well as lovely and I'm not much of a spray paint artist, but I will say just thumbing through this lovely book has done its job in bringing a little more Joy into my life. Can't wait to use some of her suggestions like the confetti cookie surprise, leaving a small bouquet of flowers hanging somewhere, and making a farmers market bag. Peruse or Buy Oh Joy! here on Amazon. I have been a fan of the original Artisan Bread in Five, and I have loved the New Artisan Bread in Five Minutes a Day even more. The benefits to the newest version is that you make a multiple batch dough, then use it over an undisclosed amount of time making homemade artisan bread even easier than before. The only issues I have now are being sure to not bake up all the batches at once because I can't wait, wondering why I don't have a pretty little Danish dough whisk, and finding something big enough to store the dough in for a few days. It may be a good idea to purchase the six quart food storage set usually sold with it on Amazon, or all three as a gift. I love the tips and recipes for gluten free breads, and the clear and understandable language of the book. The photography is beautiful, but doesn't get in the way of the great and reliable recipes. The recipes we have made from this book have turned out lovely, and were more experiences than baked goods. Every child should know the beauty of bread dough and the feeling of flour between their fingers. 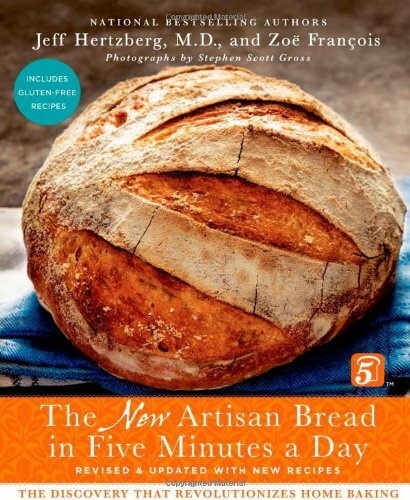 Peruse or Buy The New Artisan Bread in 5 Minutes a Day on Amazon. photograph from my old blog. This is one of my favorite new cookbooks. It's approach to teaching what you need to sprout and how to do it is unique and encouraging. The different ways to sprout, various sprouters, safety tips, various grains, why you should sprout and a few delicious looking sprout filled recipes are all covered. The photography is beautiful and light, and I love that there are step by step instructions sprouting each type of grain/seed in each type of sprouter, with a picture for each step. I appreciate the source page as well, telling where to purchase sprouting materials. I have been an inconsistent sprouter for a number of years. This cookbook has changed it all. It gives a clear and informative basis for beginning sprouters, or sprouters who are out of step, like me. My especial favorite was the chapter on how to sprout gelatinous seeds like chia and flax. I have always wanted to sprout them but typically end up with chia pudding and flax eggs instead. 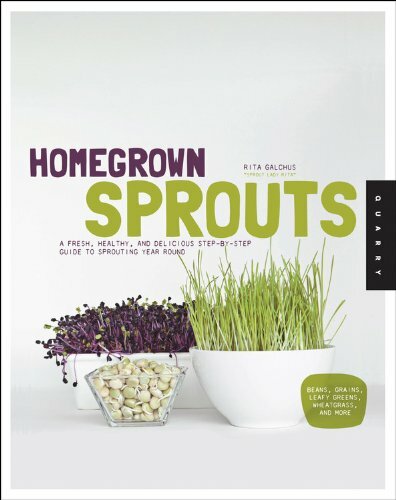 Peruse or buy Homegrown Sprouts on Amazon. 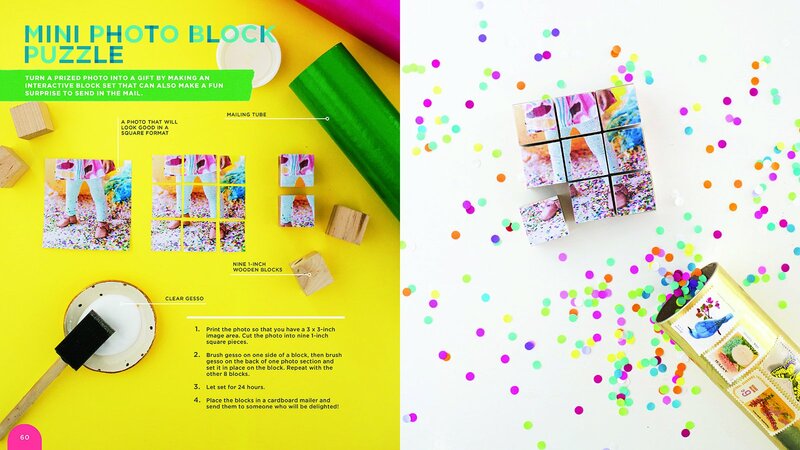 At first glance, this cookbook is pure fun. It's the first cookbook my Preschool aged daughter is drawn to because of the originality, use of color, and festivity. The cakes are beautiful on the outside, and then you open them up and there is a whole new dimension. Once you start to get into the details of the book, you can quickly tell this cakebook isn't for those who are drawn to simplicity. 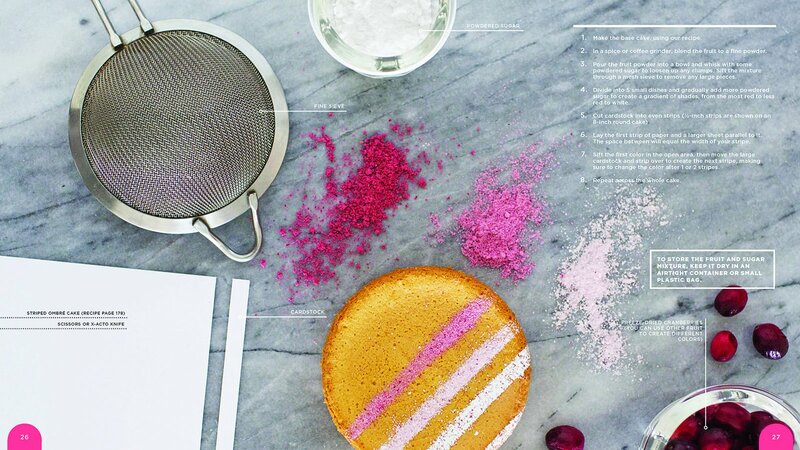 Each cake requires the baking of at least two or three different cakes and then mixing the cake crumb with icing to sculpt shapes inside the cake. Some use the same batter, just adding food coloring to a part or separate portion of the batter, sometimes baked in a separate pan. The first cake I baked from this seemed to be one of the more simple cakes, with a brownie bottom layer and strawberry cake top layer. I spent two days baking, and the cake just ended up tasting mediocre. The crumb was dense, and there seemed to be too much batter for one layer resulting in a pretty huge strawberry cake layer we tasted, then tossed. It seemed there was more focus on the designs and decorating of the cakes rather than the actual recipes. She does have original decorating ideas, and mentions some useful time saving tips (freezing portions of colored cakes for later use) but I don't make cakes often, and would make cakes of this caliber even less. The cakes are cheery and so fun if you have the time and patience, but I am more drawn to simplicity and focusing on the experience of eating the cake rather than its presentation. 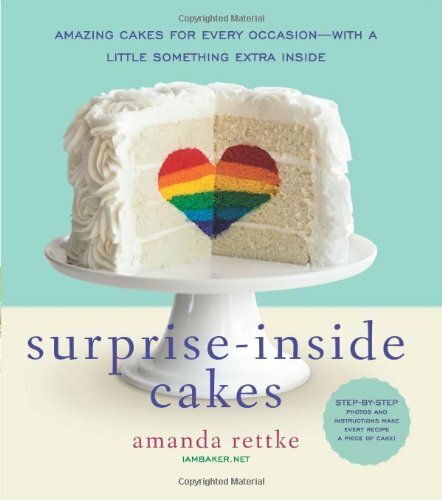 Peruse or buy Surprise Inside Cakes on Amazon. I love innovative cookbooks, and in many ways, it's difficult to be so. It seems whatever idea you've thought of for nearly everything, there's already one out there. The Flavour Principle achieves novelty by their approach to the eating experience through your senses. The menus are an experience on their own, focusing on a specific flavor, but with attention on a specific ingredient or cuisine. The menus are also sorted by season on a separate page. I love the categorization of each recipe by flavor, and that varied cuisines fit into those categories naturally. Though the menus are outstanding as planned, I have bookmarked many recipes to try together out of order, and I know the grilled peanut butter banana bread sandwich will make a debut in my Kindergartener's lunch box sometime this school year. 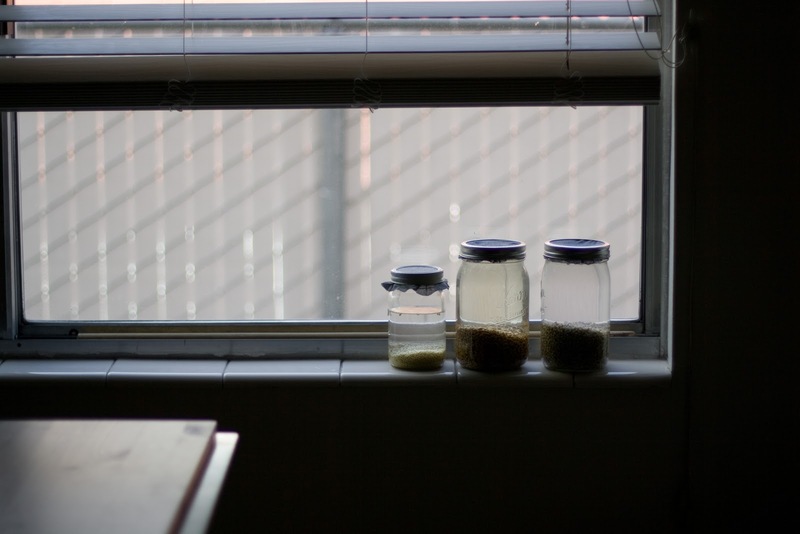 The photography is beautiful and minimalistic, mirroring the simplistic focus on the flavor and essence of a dish. A thorough Index allows you to search for a recipe by dish, ingredient, and name. It also give wonderful tips on wine and drink pairings to complete your flavor experience, the perfect glass for the perfect drink, and how to build a world flavor pantry as well as an essentials only home bar. This is the type of cookbook I would plan my best dinner parties and summer soirees with, and a beautiful reliable resource in a diverse kitchen. Peruse and/or buy The Flavour Principle on Amazon.